Where would a water operator in South Dakota go to find the certification training that will help them complete the contact hours they need to complete to renew their certificate? Why, here of course. Here at AYPO Tech, we have State-approved courses that are designed to give water operators valuable training while also satisfying required contact hours. What are the CE requirements for South Dakota water operators? For one operator certificate (Class I or II) - 10 contact hours every three years. 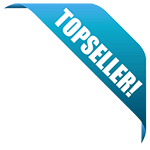 For one operator certificate (Class III or IV) - 20 contact hours every three years. If an operator has more than one certificate and all are Class I and II - 15 contact hours every three years. If an operator has more than one certificate and at least one certificate is a Class III or IV - 30 contact hours every three years. A 30 Contact Hour CE Package. Includes: Surface Water, Source Water, Disinfection, Corrosion, Membrane, Water Distribution Overview, Pipelines, Meters, Storage Tank, Wells and Water Distribution Quality. A 20 Contact Hour CE Package. Includes: Surface Water, Source Water, Coagulation, Sedimentation, Disinfection, Corrosion, Oxidation, Membrane. 15 Hour CE Package Includes:Surface Water (3), Source Water (2.5), Coagulation (3), Disinfection (2.5), Oxidation (2) and Membrane Processes (2). A 10 Contact Hour CE Package Includes: Surface Water (3), Corrosion (3), Oxidation (2) and Membrane Processes(2). 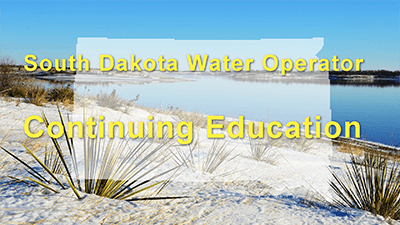 This course will fulfill 4.5 of your required hours for South Dakota water operators.